Not sure why they snapped this photo next to a driveway and tennis court. Perhaps Holyoke, Massachusetts, packs all of their sports surfaces onto a single city block. 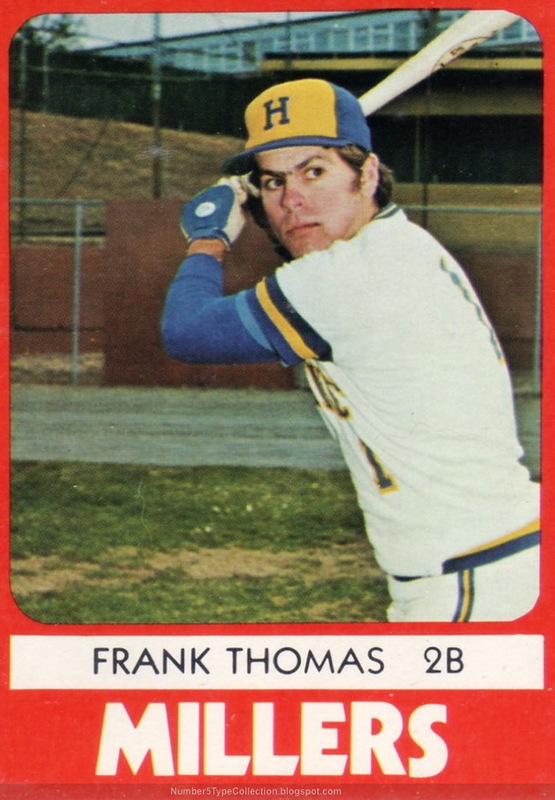 This Thomas, given name Franklin, is one of four to play only in the minors, which he did from 1978 to 1984. 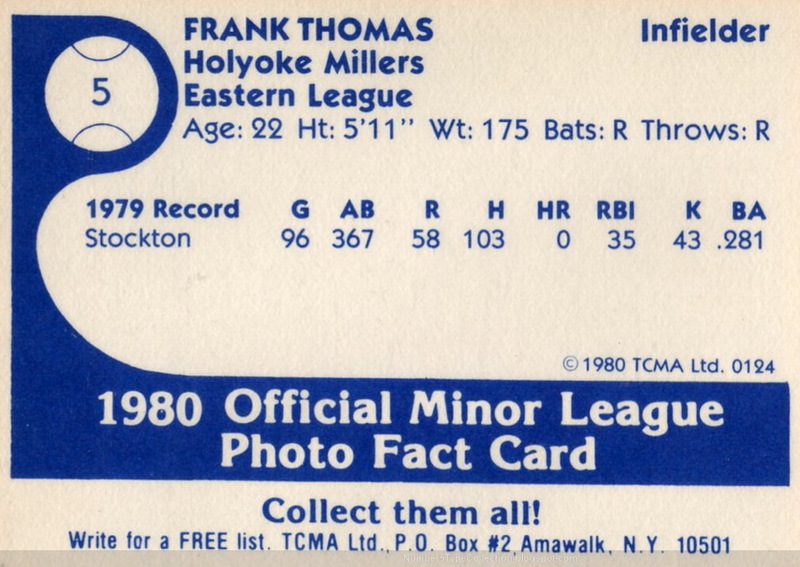 Like many singles hitters, Frank's career slugging (.314) measurably trailed his OBP (.339). He muscled out 4 total homers in 651 games, including a career-high 3 with AAA Vancouver in 1981. Value: 1980 TCMA singles costs a dollar or two. Do dealers charge extra for Frank's intense expression? No, that should come free. Fakes / reprints: I've never seen a faked 1980 TCMA card in the market and don't see a wave of them starting up anytime soon.